Illegal and performance drugs and substances are strictly forbidden. Swimmers must follow the RCTPSS policy on the use of mobile phones. Encourage your child but do not coach him/her. As with many things a little knowledge can be a dangerous thing. All Club coaches are qualified and experienced. If you have any concerns please speak to the coach but never undermine their authority in front of any swimmer. LLSC is always in need of volunteer coaching support so if you would like to get involved please ask about training as a coach. You are needed. 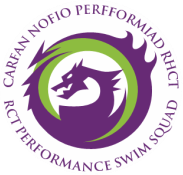 Remember that RCTPSS coaches and committee members are providing their time voluntarily to enable your child to swim. Responsibilities: Professional Standards - to maximise benefits and minimise risks to athletes, coaches must attain a high level of competence through qualifications and a commitment to ongoing training that ensures safe and correct practice.